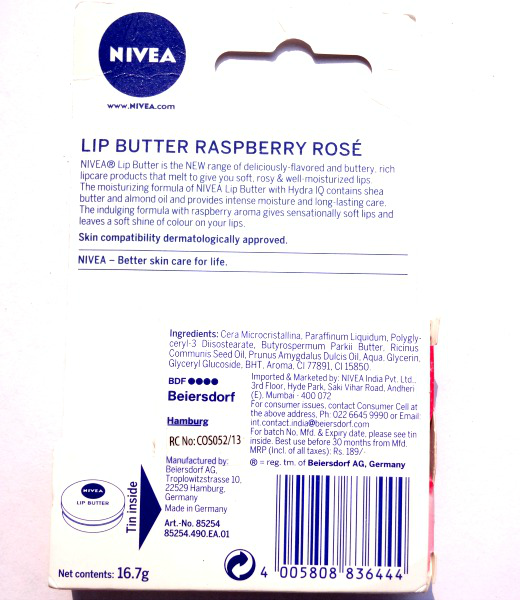 Product Information- The NIVEA Lip Butter Raspberry Rosé is an aromatic treat for the lips. It comes in an innovatively designed tin uniting long-lasting moisture, trendy flavours and a unique lip care experience. The rich formula melts on the lips, restoring suppleness and adding a silky gloss. The moisturizing formula of NIVEA Lip Butter with Hydra IQ contains Shea Butter and Almond Oil and provides intense moisture and long-lasting care. The indulging formula creates sensationally soft lips. 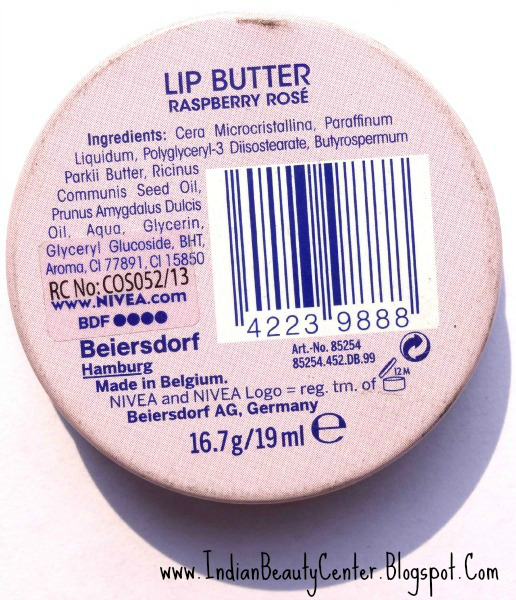 How to Apply- Apply the Lip Butter with the finger to help to control how much butter is used. The interaction of smell, taste and the touch of the lips indulges all senses. This comes in a beautiful looking tub packaging but the tub is a bit flat and not so deep, which is good as I don't have to dig in deep every-time. Almond oil and Shea butter is what it claims to contain for moisture and this lip balm has a delicious berry fragrance, exactly the same as Maybelline Baby Lips Antioxidant Berry. It is very affordable and travel friendly too! 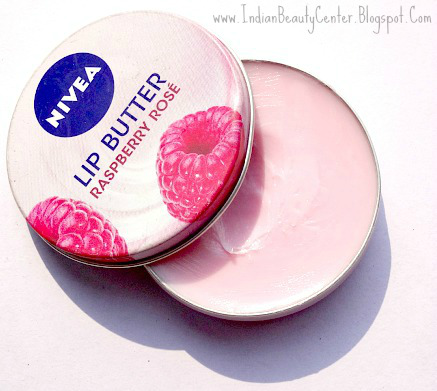 This moisturizing lip care balm has a staying power of 2-3 hours if applied heavily during winters. 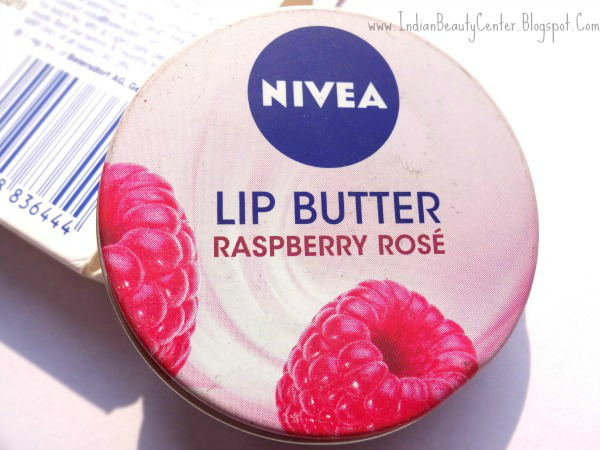 This Nivea Raspberry Rose Lip Butter does moisturize my lips nicely. It also give you soft lips. 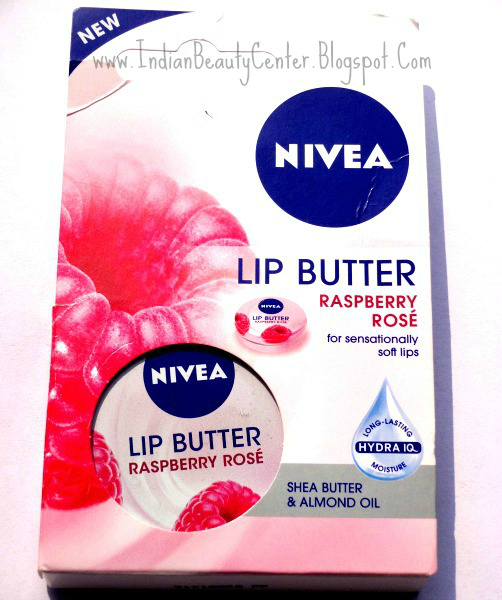 I apply it during night, before going to sleep and wake up with gorgeous looking lips :D This lip balm from Nivea is soft and buttery and spreads easily onto the lips. My lips feel an instant boost of moisture when I apply this lip balm. It also gives you pink lips to an extent. But there are a few problems. First, I find the tub packaging of this shea butter lip balm really unhygienic as I have to dip my fingers into it to take out the balm. Secondly, it does not Heal extremely chapped lips, like the ones I get during the onset of winters or during the withdrawal of winters. The major con is that it leaves a white tint on the lips, which stays on as long as the lip balm is there on your lips. I think this lipbalm would be a great option for summers, spring, monsoon and mild winters. But, for extreme winters, you will need something better. 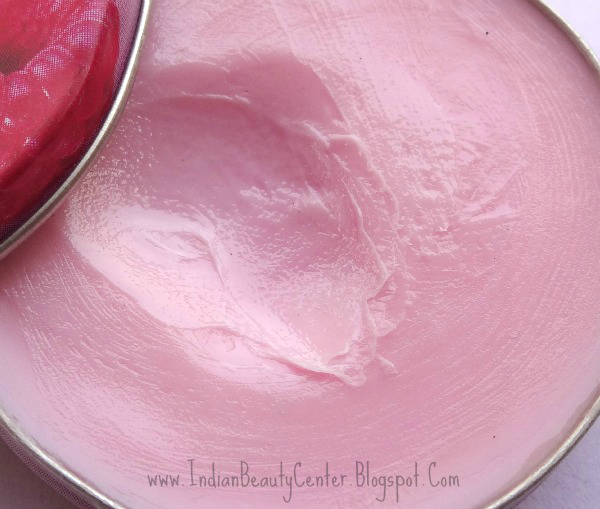 6) Makes the lips soft and supple and pinker too! Final Verdict- Overall, this lip balm is a decent one and I mostly use it at night before going to sleep only to wake up with soft, pink lips :) This is a lovely lip balm, with a lovely fragrance and at an affordable price. I don't think it heals majorly chapped lips but if your lips are slightly dry then this is a great choice! I wish it did not leave behind any whitish tint on the lips, but it does. Leaving that, I think this lip balm is definitely worth a try :) However, I personally find the Lotus Lip Therapy better than this one! I also love this lip balm! Super moisturising and agree that it does leave a white residue. This doesn't bother me too much, but you could try putting some lipstick on top? Some lip balm leaves white tint on lips don't know why, Nice review dear. I want to try them out so badly but couldn't get hold of them till now, now I must try these lip balms fo sure. 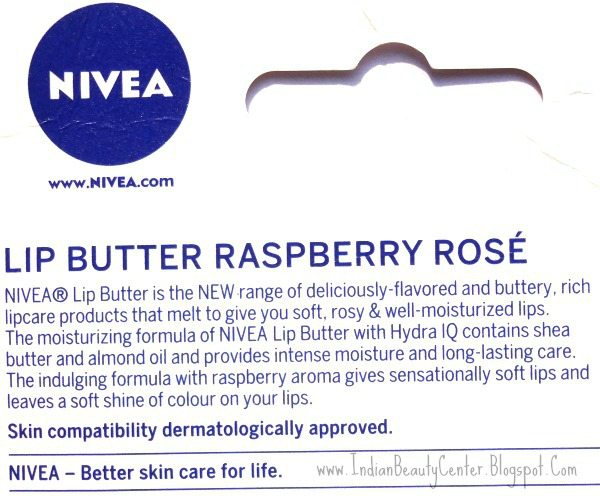 I've thought about using Nivea, so thank you for giving such a good review! I don't like the sound of the white tint though and I don't usually wear lip balm at night, so I might just have to pass on this. I really wanted to get this one.. but it leaves a white tint?? Guess I will skip it then. Thanks Arpita! But its a good product overall!